Not even kidding. Visit any grocery store near me and you’ll notice that the bread, eggs, milk, and bottled/jug waters have been wiped clean. And I mean GONE. I may jest… but if you check my kitchen, you’ll find a stockpile of all of the above. It’s just what we do y’all. By the way, did you catch the snow cream reference?? He’s so right. Next time you’re wiping out the grocery store in preparation to be snowed in, make sure you grab a can of sweetened condensed milk. 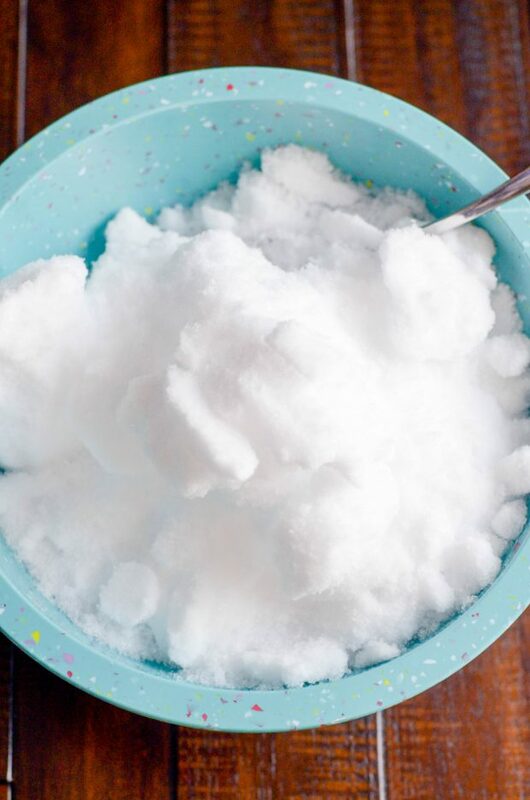 Because that’s all you’ll need to make the most PERFECT snow cream evah. 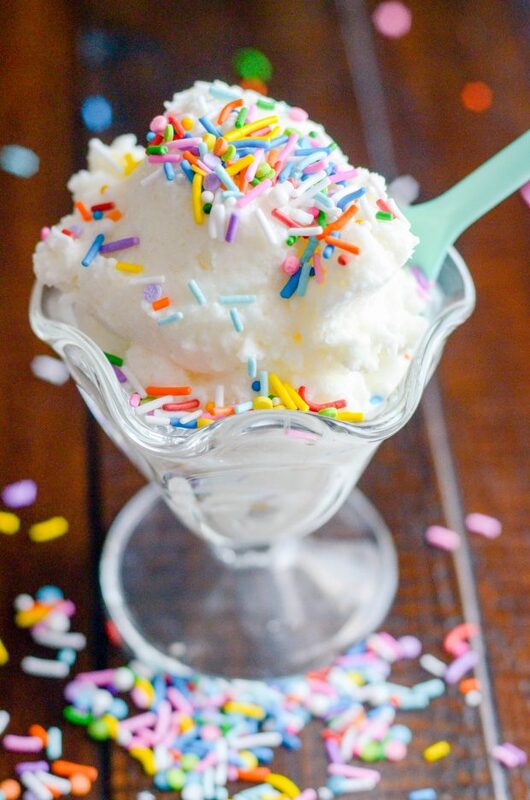 I’ve tried a few variations of snow cream, and there really isn’t one better than this. Sure, you can add vanilla. You could add sugar. You could use real cream. Yadda, yadda, yadda. It’s all going to end up tasting like this more or less. The real trick is getting it mixed up (and mixed up well) before it melts. 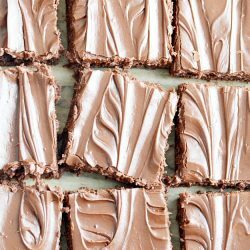 I’ve done some experimenting here, and my most successful batch came from using my KitchenAid mixer! I think you could use any version of an electric mixer though. Start with 4-6 cups of CLEAN snow. But really, please don’t take the time to measure it. Just grab big bowl (maybe your KitchenAid bowl to make things even easier) and fill it up. Remember, this is meant to be fun, not an exact science! Pour in a can of condensed milk and whip it good. Immediately scoop and serve! Remember, nothing, nothing melts like Snow Cream. So this recipe is all about moving fast, fast, fast! Get those little hands to help you scoop up the snow and then let the mixer do the rest. Voila! 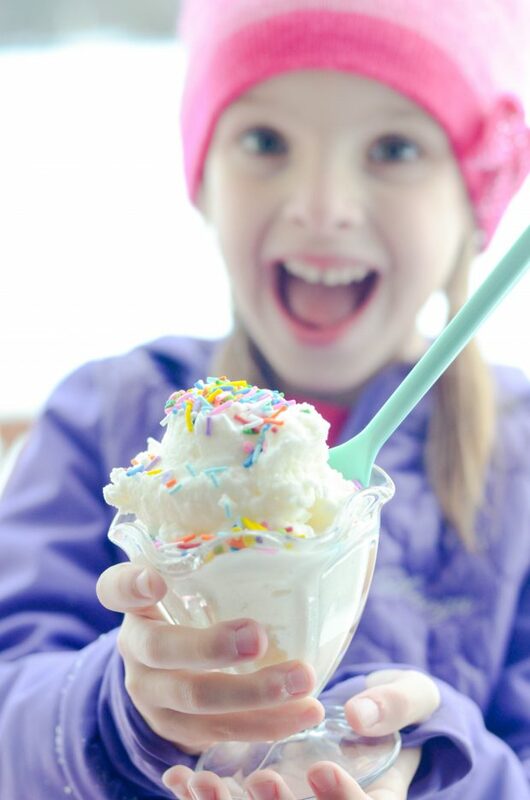 When we asked Emma what her favorite part of the snow day was, she answered without hesitation: SNOW CREAM! So there you have it folks. 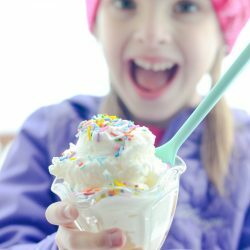 A recipe that outshines getting out of school to play in the snow all day. I don’t think it gets much better than that. I’m providing a recipe below (of course! ), but just another reminder here to have fun with this. Don’t stress about measurements or making it perfectly, flawlessly smooth and creamy. It’s a snow day treat. It’s fun. Don’t overthink it! 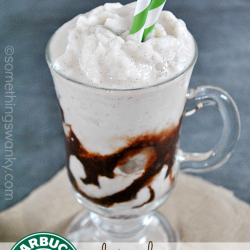 This easy two ingredient recipe is perfect for your next snow day! And my technique will get you the creamiest, most ice-cream-like snow cream you've ever made, guaranteed. If using a stand mixer, place the snow in the bowl of the stand mixer. Otherwise, just use a large bowl. 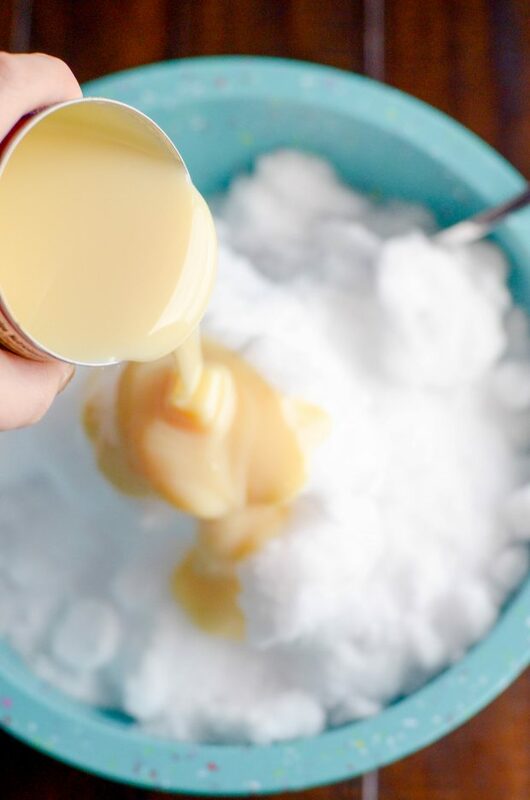 Pour the SCM over the snow and use an electric mixer to blend the snow cream together. 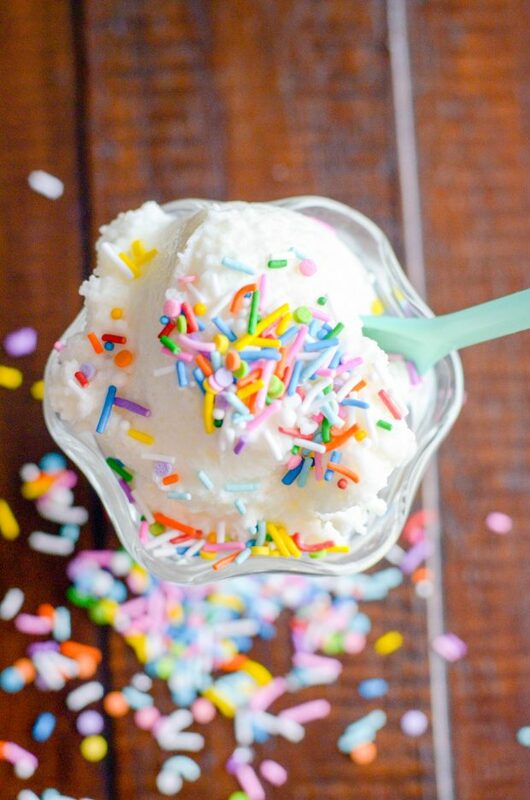 Once smooth, scoop into cups and serve with sprinkles and a smile. 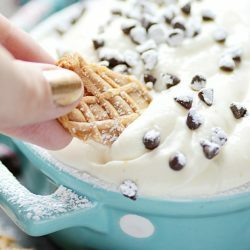 Tip: I've never used a blender to do this, so I can't vouch for the results, but I can't help thinking it's not a bad idea if you don't have a stand mixer.